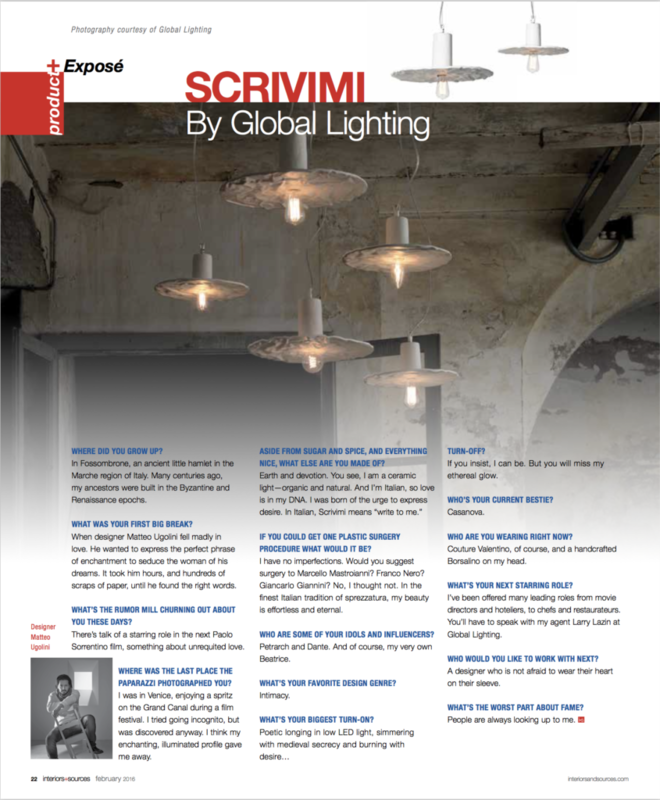 Designer Matteo Ugolini is interviewed about his creativity and his sensibilities by Interiors + Sources magazine, the talented Italian’s products distributed by Global Lighting in the United States and Canada. Designer Matteo Ugolini was born in Pesaro, Italy in 1973, showing an affinity for drawing and painting since he was a young boy. This was a sign of things to come, as he has never lost his joy of experimentation with forms and materials. His university years were spent at CNIPA, the Centro Sperimentale Design Ancona. Upon graduation, he went straight to work collaborating with Studio Telemaco, developing furniture and accessories for a variety of design/architectural projects. Ugolini describes himself as deeply connected to nature, and hopes his designs will inspire a better understanding of all aspects of the natural environment. Along with his lighting creations on his website, the proud father has human ones front-and-center as well, his son Cesare and daughters Elena and Sofia grinning proudly from their candid snapshots. In 2008, Ugolini took over the reigns as art director of the Italian brand Karman, designing some of the company’s first lighting lines and setting the company’s branding on its current creatively avant-garde course. Ugolini designed some of Karman’s most popular products—the Déjà-Vu and Ali & Babà among them. The designer’s passionate goal is to cause emotion through lighting, and in keeping with the ironic point of view he espouses, he loves designing but feels no qualms in denouncing the need to be influenced by trends. He simply concentrates on creating products he loves. The impact of his lighting on interiors can be profound, as his artistic impulses create fixtures that defy convention. 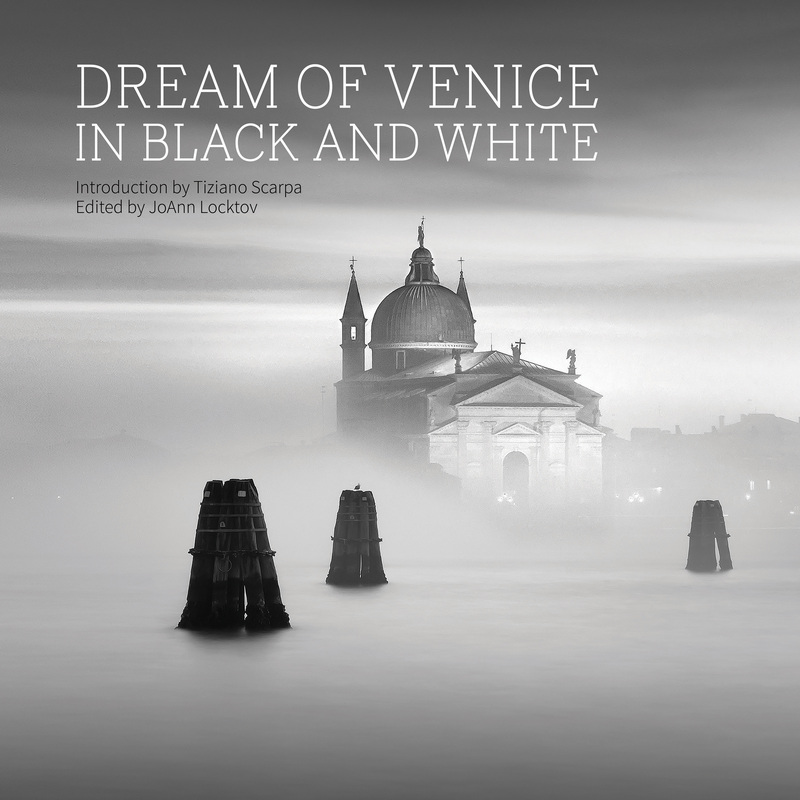 His level of experimentation makes him a unique visionary in the field, an achievement made possible by his long collaboration with Karman’s owner Davide Diamantini, who shares his whimsical point of view.